26th July, 2018, Pune: Eureka Forbes Limited, leaders in water purification category, today announced the launch of Free Customized Water Test service across 15 cities in India as a part of nationwide awareness drive on water contamination issues. 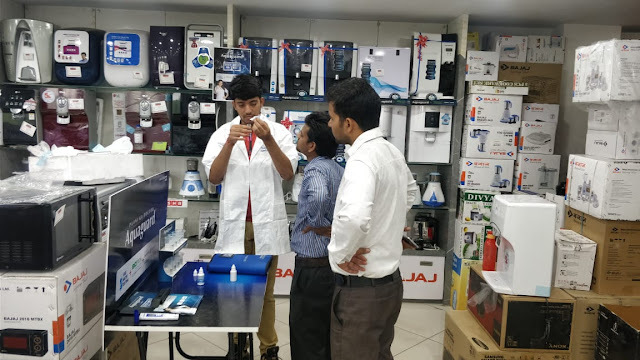 Under this initiative, Eureka Forbes has set up exclusive zones across 500 retails stores in India to allow people to test their water quality and apprehend its health quotient. While most people understand the importance of drinking safe and healthy water, lack of awareness about the right purification method often leads to health problems. According to a recent report by Water Aid, about 37.7 million Indians are affected by waterborne diseases, 1.5 million children die of diarrhea and 73 million working days are lost due to waterborne diseases annually. Moreover, the overexploitation and excessive pollution of surface water caused by the discharge of untreated waste, dumping of industrial effluents and the runoff from agricultural fields, has increased pressure on groundwater resources. This has led to deterioration of groundwater quality. Being a leader in the water purification category, Eureka Forbes understands the water of India and has over the years championed the cause of safe drinking water. 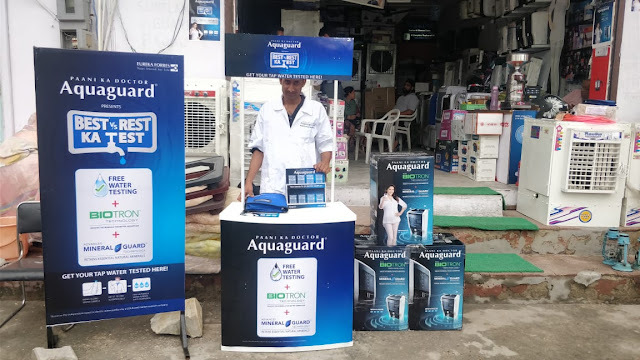 Aquaguard is the only water purifier brand in the country to develop 21 water purification technologies to combat 21 different water conditions in India. Since the quality of water and the type of water contaminants present in each region varies, the company will be conducting customized tests in each city. For instance, in Delhi and Lucknow, drinking water samples will be examined to understand the presence of TDS, pH level and hardness, whereas in Hyderabad, Chennai, Ahmedabad, Bangalore, Indore, Chandigarh, Jaipur, Pune, Cochin and Bhubaneswar, TDS and hardness levels will be tested. In Mumbai and Cochin, the level of TDS and Chlorine in the water will be verified and lastly in Kolkata and Pune, the levels of TDS, Iron and hardness will be inspected. Eureka Forbes’ certified experts and in-store promoters stationed at these stores will examine the water and provide beneficial inputs, determine suitable technologies and products for customers. Moreover, these specialists will showcase the first-of-its kind purification process designed to check the water quality.